Cuba: an island brimming with vibrant art, soul-stirring music and villages cloaked in colonial charm. Home to nine UNESCO World Heritage Sites and a population as warm and scintillating as its tropical climate and colorful arts, Cuba—once again accessible to American travelers—is a country begging to be explored. Located 90 miles off the coast of Key West, Florida, Cuba is the largest Caribbean island nation. Its neighbors are the Cayman Islands, Jamaica and Haiti. Cuba spans 44,200 miles, making it a bit smaller than the state of Pennsylvania. Its varied geography includes rolling farmland, rugged mountains, urban metropolises, quaint Colonial villages and white-sand beaches. The island is divided into 15 provinces and one special municipality, Isla de la Juventud. Notable Cuba areas include rural Piñar del Rio, where tobacco farming builds economic momentum; seaside Santiago de Cuba, the country’s second largest city next to Havana rife with colorful Afro-Cuban influence; and colonial Trinidad, a sleepy town designated a UNESCO world heritage site nestled between majestic mountains and the sea. Cuba’s population is richly diverse, with 11.2 million residents. Despite its Native roots, the most profound effects on Cuban culture are the result of European, African and North American influences. Cuba is a world leader in sustainable ecological practices and has begun making the transition from agricultural imports to low-footprint, sustainable farming. It’s also one of the first countries to ban the sale of incandescent lighting, having replaced bulbs with energy-saving compact fluorescents. Environmentally conscious travelers can revel in six rich UNESCO biosphere reserves, ranging from tropical dry, humid or deciduous forest to mangroves. The island features 3,570 miles of coastline. Its longest river, the Rio Cauto flows for 213 miles. Cuba is also home to the world’s smallest bird, the zunzuncito, a bee hummingbird native to the island. According to the United Nations Educational, Scientific and Cultural Organizations Institute for Statistics, Cuba’s literacy rate is 99.8 percent, the second highest in the world. Cuba’s longstanding, highly regarded educational system is anchored by 47 universities and 23 medical schools. Education has been nationalized since the Cuban Revolution. As of 2008, according to the U.S. Central Intelligence Agency, 13.6 percent of Cuba’s GDP is spent on education, which is subsidized for all Cuban people, regardless of income. 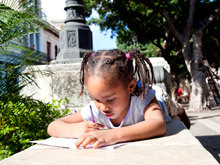 Cuba’s educational system includes primary and secondary schooling. At the end of basic secondary education, students can choose between pre-university, technical, and professional education. They may then choose public universities or centers of higher education, including pedagogical or polytechnic institutes. Cuba is a place of perseverance. Discovered by Christopher Columbus in 1492, it was colonized by Spain. The U.S. claimed Cuba during the Spanish-American War in 1898. However, in 1902, the island gained its independence. During the Cuban Revolution between 1953 and 1959, Fidel Castro replaced U.S.-backed dictator Fulgencio Batista. Castro declared Cuba a socialist state in 1961. He remained in power until he became ill in 2008 and relinquished governmental control to his brother, Raul. The Communist Party of Cuba is the country’s governing political body. Following a Marxist-Leninist model, it is committed to socialism. The Cuban state follows a socialist economic model. While the state controls most resources and the majority of citizens are employed by the government, there has been a noticeable emergence of a private employment sector. A new legislation recently introduced private ownership of homes and cars. In 2006, the private sector employed 22 percent of citizens, which is 14 percent more than in 1981. The main industries of Cuba are food production and industrial products and their main exports are sugar, nickel, seafood, citrus, tobacco products and rum. Cuba has a semi-subtropical climate, divided into two seasons: wet (May-October) and dry (November- April). However, regional variations and trade winds account for fluctuations. Cuba’s average temperature is 77 °F. Compared to most countries, Cuba experiences little variation, although July and August can be hot and humid. Nearly two-thirds of all rainfall occurs during the wet season. Hurricane season is from June-November. Cuba has an advanced disaster preparedness system and civil defense network for evacuations. Spanish is the official language of Cuba. Please note that Cuban-Spanish contains variations, making it difficult for native-Spanish speakers, who may get lost in translation at times. The majority of Cubans only know Spanish, but in larger cities and tourist areas, English is commonly spoken. InsightCuba’s English-speaking hosts will translate throughout the program. Although knowledge of Spanish isn’t required, we encourage you to learn some simple words and phrases to maximize your experience with the Cuban people. Cuba’s main religion is Catholicism, though it has been modified through various beliefs. Among the leading influences is Santería, a blend of Christian-West African Yoruba and Roman Catholic Christianity. Other religions include Palo Monte and Abakua, both rooted in African traditions. There are also thousands of Jehovah’s Witnesses. Jewish Cubans have lived on the island for centuries. A Muslim minority, totaling about 0.1 percent of the population, lives on the Caribbean island. Cuba is the most populous island in the Caribbean and home to over 11 million residents. It is a multi-ethnic melting pot with a population that is 65 percent white, 24 percent mixed-race, ten percent black and one percent Chinese. Due to the free education system, the cities are becoming filled with people pursuing higher education. To increase the population in rural areas, the Cuban government has offered land incentives to city-dwellers and Cuban citizens must have governmental consent before moving to Havana.